Two and a Half Men is one of those shows that I used to watch religiously every week as soon as it came on my DVR I would watch it. These days the things piles up with at least three or four new episodes before I will even consider watching it and even then it is only out of sheer desperation because there is absolutely nothing else left to watch on television. I don’t know what it is about this show that I’m not really in to anymore. Maybe it is because Charlie’s character is no longer on the show and it just seems a little weird with out him. Maybe my dislike for Ashton Kutcher has something to do with it also. I am not really a fan of his and I don’t think he is all that great of an actor so I guess I just can’t get excited about watching him on that show either. So if you are a big Ashton fan head on over to www.satellite911.com/ to check out what the latest deals are so that you can check out Two and a Half Men on your own. Diving Deep and Living with Leukemia! 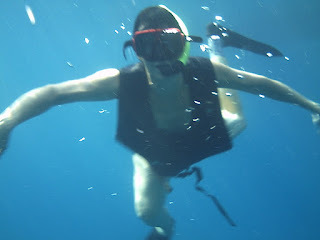 Something that I used to enjoy, years ago was scuba diving. I can still remember the very first time that I took a breath under the water. It was a very tense and scary moment, wondering whether or not I would actually be able to breath, or if I would suffocate, deep down under the water. I do not know why, but I held my breath all of the way down to the bottom of the pool, where we were being trained. Now, I knew that I was an avid swimmer, and that even with the weight belt and wetsuit on, I could get me to the surface to breath, if I needed to; yet, a moment of panic set in. It was an all-encompassing moment of dead silence, where I had no one to listen to but my inner self. I can remember saying to myself, “Just take a breath, just breathe and everything will be alright.” Of course I did, and of course, it was. I took that breath and started to swim; and because I did, a whole new world was opened up to me. I enjoyed diving for many years, and have recently converted to snorkeling, but I may just jump back into a wetsuit, and hit the greater depths of the ocean again, someday. My favorite place to dive is in the Caribbean, even though the water is very warm there, wetsuits are still in order for me. The fish and coral reefs in the Caribbean are a sight to be seen by all; the are literally astounding! I kind of experienced the same sort of feeling when I was first told, over the phone, that I had leukemia. There was an overwhelming silence that took over my body and soul, and I felt as though I may drown. I heard myself, once again repeating those words, “Just take a breath, just breathe and everything will be alright.” Of course, I did and of course, it was. Reflecting back to those first moments, I am now beginning to realize just how scary they were; probably more so for everyone around me, than for myself, because up until recently, I have been living my life on auto-pilot. It has been a whirlwind of a year, and I am going to try and remember, that despite the fear of taking that very first breath, the rewards are great! No, The Grinch Did Not Steal Me, Too! 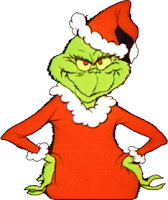 Even though it may seem as though the Grinch snuck into my room, hog-tied my arms and legs, duct taped my mouth, and shipped me to the South Pole; he did not! I am truly, alive and well, and beginning to recover from all of the extra opportunities and obligations that the holiday season entailed. It was so busy, that I barely made it through each day, and my blog updates and communications suffered. I vow to catch you all up, before the end of January. First and foremost on the list: I would like to wish everyone a Happy and Healthy New Year; and to thank each and every one of you, for the prayers and support, that you have offered me during this past, very difficult, year. Without your words of encouragement, and your more than generous donations, I do not know if I would have been able to face each and every day, with all of hope and determination that I have had, without the support that you provided. Thanks to all of you, I find myself armed and ready to continue my battle against chronic myelogenous leukemia. I cannot express my gratitude through words alone, so hopefully you can feel the great big hug that I am sending out, via the internet. I also wanted to update you on some of the random posts that you may be reading on my blog. Bottom line; I am getting paid to write them…..gotta do, what ya gotta do, right? Some of them are quite informational and I have actually found some pretty great sites, that I would never had known existed, if I had not been writing a post for them. So, hopefully you will not find them too annoying, and will actually find some of them useful. As far as the New Year is concerned, I am currently getting over one of the longest bouts of “something upper respiratory” that I have ever had. It seems as though I have been sick forever, but I understand that I am not the only one out there suffering from the continual; hack-hack. My white cells actually raised a bit to combat whatever is going on , but oddly enough, my “raised” white cells only equate to 5,100; barely over the “low normal.” It makes me wonder a bit about the Sprycel suppressing the whites so much, that when I need healthy white cells to combat infection; will my body be able to make them? Since I have been diagnosed with leukemia, I have become uber aware of all of the different ways that what I do and what I do not do, can and will, affect my health. I often wonder that if in a perfect world, where there are no pollutants, chemicals and other such detrimental substances to our bodies, and our environment, if disease would exists. Of course, I realize that this is a very deep subject, one that I am currently unable to entertain; however, my very first thought on this subject is that absolutely every single negative thing in our world is money and greed related. Take smoking for example; because of the mass amounts of money going toward smoking research and anti-smoking campaigns, we are all aware of the risks. So, can anyone tell me, why the rate of young women smoking, is still on the rise? Do they just not hear that the rate of lung cancer has surpassed the rate of breast cancer, as the leading death of cancer, in women? Or do they just not care? Or, has the tobacco company’s campaigns, far surpassed the surgeon general’s? Has their message of just how “cool” a young girl looks with a cigarette hanging out of her mouth, being all empowered and independent, full of equal rights and all of that crap, just outweighed the fact that smoking is a dangerous, costly habit, that once you are hooked, you are likely a customer for life; fattening their wallets, while risking your life. It is mind boggling to me. Ugh, guess I am just in a mood. It really kills me to see beautiful young girls smoking, not that it doesn’t bother me when anyone else smokes too, but it is the young ones that really get my gut! I wonder if they realized how much more quickly they will age because of smoking maybe that would be a better deterrent than heart disease, emphysema and death. I just look at them and feel sad; they are so vulnerable and invincible when they are young. I certainly know that I was. I never in a million years would have dreamed that I would get leukemia, and I TRIED my dam-dest to eat right and exercise; live a clean and healthy life style. I suppose many would then say, “So see, it didn’t work, so why bother.” My answer to that is simply that even with a blood count of 385,000 white blood cells, I was still able to dance, still able to live my life without even realizing just how sick I was. 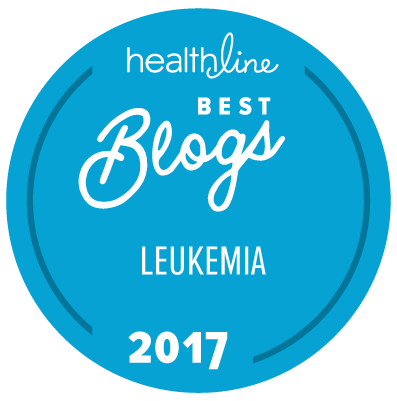 When nurses and doctors walked into my hospital room they expected to see someone more than half dead; I was not, and I suspect that it was because I DID live a healthy lifestyle leading up to the point when I was diagnosed with CML. And, because I am continuing to do so, my blood counts are decreasing much more quickly than anticipated, so I will continue to do so! Anyway, my rant for the day: If you don’t smoke, don’t start, and if you do, stop smoking today! There is help available, don’t let those money hungry tobacco companies, that laden cigarettes with addictive poison, win. Stop smoking NOW!